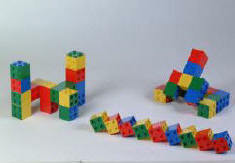 Ideal building set for family games, small classes or creche & reception areas. Perfect for small classes, creches or as an exclusive family play, birthday or Christmas gift. 48 qualty building blocks. Lots of individual, friends and family play possibilities. Made with care in the UK.